In the large factory, aluminum ingots are being poured into the aluminum melting furnace several meters high. After being heated by natural gas, they are turned into hot red aluminum liquid that will be made into aluminum pipes and other final products through casting and heat processing. This is a factory of Jiangsu Yatai Light Alloy Technology Company in Wuxi New District. With an annual aluminum production of 180,000 tons of, Yatai Technology provides aluminum parts for automakers around the world. Like many fastgrowing local companies, Yatai Technology, with an annual sales revenue of RMB 3.4 billion, guarantees the economic prosperity of Wuxi. In 2017, the added value of the industry of scale in Wuxi ranked No. 1 in South Jiangsu, making the city the third to have a GDP of more than RMB 1 trillion in Jiangsu Province following Suzhou and Nanjing. Zhang Junhua, Senior Manager of the Purchasing Department of Yatai Technology, is cruising the production lines as usual. Suddenly, his mind went back to the snowy days several months ago when gas supply was under huge pressure. 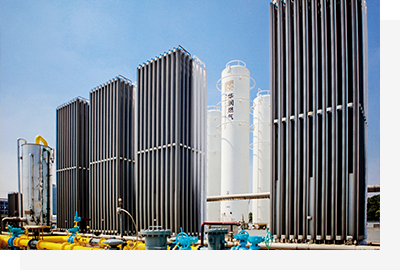 The company rely entirely on natural gas for 24/7 production in its factories. Behind the busy production lines are the efforts and persistence of countless people. On 26th Jan, 2018, many cities in the South of the Yangtze River were covered with snow. Under the attack of the heaviest snow in a decade, all highway bridges and ferries crossing the Yangtze River were closed. Traffic control was carried out and trucks were not allowed to use highways. The snow is heavy, and the hearts of the people caring about the supply and gas of natural gas are also heavy: the most difficult moment has come. Since heating supply started in North China at the end of 2017, many places in China suffered massive "gas shortage" due to large-scale efforts to replace coal with gas and lack of available facilities for natural gas supply and storage peak regulation. In this context, the price of LNG, an important supplement of natural gas, began to sour with its demand far larger than supply. The situation was the same in Wuxi. The snow, however, made the situation worse. Although traffic was soon resumed and deicing efforts were very effective, LNG transportation was severely impacted due to traffic control during and after the snow and slippery roads. During peak hours, there are usually more than 20 LNG trucks waiting outside Wuxi New District Gas Storage and Allocation Center for unloading, but on that day, there were only a handful of empty trucks. CR Gas, Wuxi, which has been doing its best to secure natural supply and would make every effort to fight for half a tank of LNG since winter began, was faced with the challenge of the traffic. However, the challenge is more complicated in Wuxi. Under the pressure of the "gas shortage", many cities choose to reduce the supply to nonresidential users to ensure residential gas supply" through limiting the heating and production of industrial and commercial users, providing limited gas supply or even stopping gas supply for nonresidential users. 2017 is a crucial year for Wuxi to realize the goal of increasing its GDP to more than RMB 1 trillion. Therefore, CR Gas, Wuxi, has to guarantee gas supply for both residential use and industrial and commercial customers so as not to damage the economic development of the city. Corporate customers have high demand. Zhang Junhua from Yatai Technology said, "our factory produces 24/7, in case of stoppage, the furnace needs to be started all over again from a low temperature, which would cause huge loss. Besides, interruption in the supply chain is the biggest challenge for automakers. Most of the foreigninvested enterprises using our products and Fortune 500 enterprises adopt "zero stockpile" production. This means that the capability to ensure supply during emergency is what our partners value the most. There are many companies like Yatai Technology in Wuxi, for whom, most of the orders come from international enterprises. Ni Fumin, Vice President of Jiangsu Jinxiu Aluminum Company Limited said, "we are the controlling shareholder of Dicastal, a wheel supplier for major automakers around the world. Therefore, our production needs to strictly follow the plan. If gas supply is limited, ripple effects would occur along the industrial chain, which would in turn, damage our reputation in the global market". With the heavy snow showing no signs of stop, the pressure of the gas pipelines continued to drop. CR Gas, Wuxi immediately launched an emergency plan. Chen Ronghua, General Manager of the company, stayed at the command center for overall control and dispatch, while other leaders went out to visit major industrial and commercial customers to coordinate with them on adjusting production plans to guarantee residential gas supply. Employees of the company went onto the street to deice so as to reduce the damage of the snow. When the trucks loaded with gas tanks arrived, it was already midnight, but the workers began to unload the gas tanks without delay while the Party Committee of the company were preparing hot meal and soup for them. "On the snowy days, managers of CR kept contact with me for 24 hours a day to inform me of the latest development. It was indeed a hard time. Production plan adjustment and gas dispatch must be coordinated perfectly. We are so lucky to cooperate with CR. They could optimize dispatch as much as they can to minimize the impact on companies". The snow finally stopped and the pressure of the gas pipelines began to rise. Gas supply in Wuxi stood the test of extreme weather. In fact, each drop in temperature in this winter was a big challenge for CR Gas, Wuxi. According to Chen Ronghua, Wuxi had a daily gas supply shortage of 1.5 million m3 during peak seasons, accounting for more than 30% of the total demand. It is, by no means, an easy task for CR Gas to bridge the huge gap by securing more sources of natural gas, scientific dispatch and flexible adjustment. Although having gone through hard times and sold the 100,000 tons of LNG purchased at market price at the price set by the central government, CR Gas, Wuxi managed to realize zero complain during the whole winter, guaranteed stable gas supply to corporate customers and helped Wuxi City to increase its GDP to more than RMB 1 trillion as planned. This is the result of CR Gas' accurate analysis of the situation and preparation in advance. Based on total gas consumption of China in the previous years and changes in the price of natural gas futures, CR Gas, Wuxi predicted in the Spring of 2017 that gas supply shortage is expected in winter. Therefore, CR Gas, Wuxi began to make preparations for securing gas supply in winter in summer. The company established a special work team to coordinate with sources of natural gas, communicate with CNPC and Sinopec in advance to secure their support and get in touch with LNG suppliers. The team also did a thorough analysis of gas transmission facilities and pipelines and spared no effort to improve weak links and overcome bottlenecks of gas transmission. At the same time, CR Gas, Wuxi also expanded the capacity of emergency natural gas liquefying centers from 400,000 m3 to 1.5 million m3 a day. With these efforts, CR Gas, Wuxi has made full preparation for the meeting the challenge of "gas supply shortage" because it has sources of gas, the ability to liquefy natural gas and no bottleneck in gas transmission before November when the heating supply season in North China began. In 2018, "gas supply shortage" is becoming a new normal. In the context, CR Gas, Wuxi is making integrated plans and building the natural gas emergency guarantee system. "Your Choice, Our Responsibility", the simple belief will guide CR Gas, Wuxi to continue to warm the city in cold winter. CR Group is an enterprise with diversified operations closely related to the daily life of the general public. 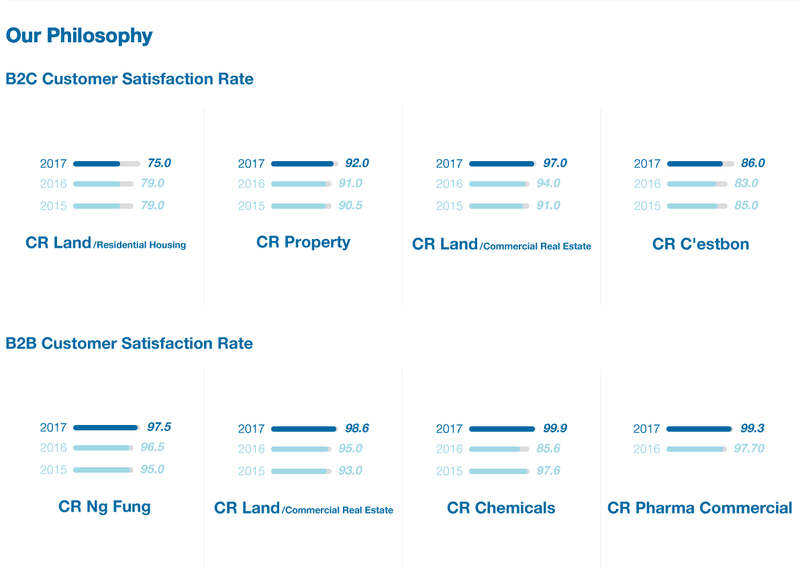 Every day, countless consumers buy food and medicine produced by CR, enjoy financial, healthcare and property services provided by CR and encounter microelectronic, textile and chemical products of CR, or are investing in CR real estate properties. 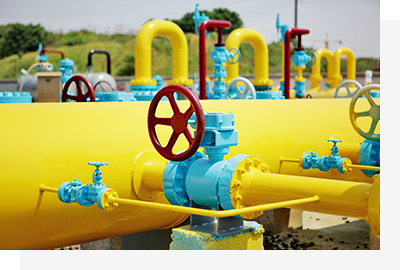 Like CR Gas, Wuxi, who has made every effort to secure gas supply for customers in spite of the risk of losing money, CR companies carry out their commitment to provide quality products and services to meet the diversified need and create value for customers. Because of them, consumers have greater trust in CR and choose to stay with CR. For a long time, CR Group has been valuing its commitment to customers and all levels of the Group has been strictly implementing quality management to control risks in the industrial chain from the source. Besides, CR Group also kept innovating its service models to protect the interests of customers with high quality through keeping up with the demand of customers and adopting high and new technologies. Leading business progress and creating a better life is the meaning and motivation of CR as a commercial organization. As a diversified company, many of CR's business are closely related to the public life. We are committed to integrating the Group's resources, digging into customer needs and pulling in the distance between supply and demand. We follow the changes in life and society, seek to provide and create better products and services, base the innovation of products and services on customer demand, constantly exceed customer expectations and create customer value, and thus becoming a global corporation trusted and loved by the public.